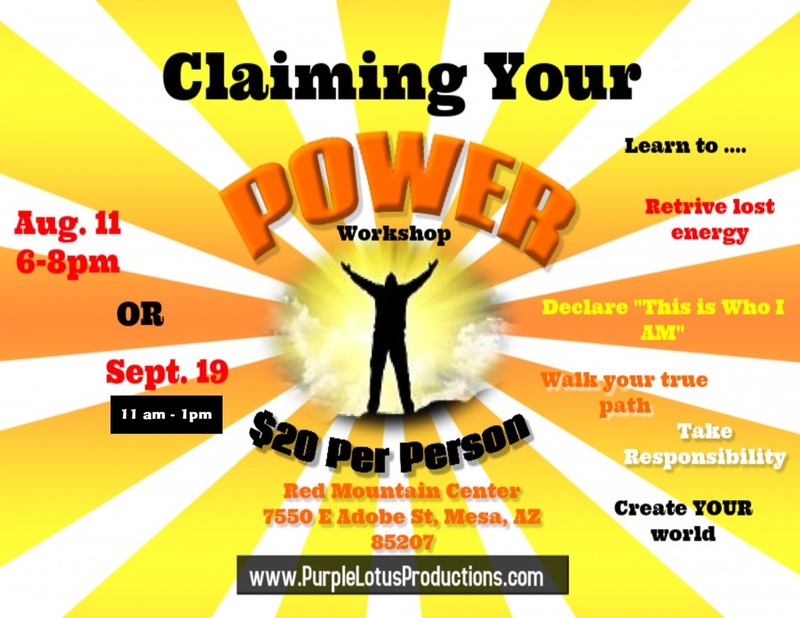 This workshop will teach you how to retrieve all the pieces of energy you have handed out over the years and re-claim them as your own. It will empower you to announce to the world "This is who I AM" in the way that you choose. It will help you allow everyone to walk their own path, even you and encourage you to take responsibility for your life and the person you are becoming. It will leave you with the tools to release the victim role and claim your power as Creator of YOUR world. Two dates to choose from either Tuesday August 11th 6 to 8 pm or Saturday Sept. 19th 11 am to 1 pm. Click Submit and you will be directed to the Payment Page. No Refunds within 14 days of the workshop.